Edward Jaye adorably illustrates with full color photographs the love of a gingerbread couple as they explore various positions such as Autumn Dog, Tripod, and The Wheelbarrow. 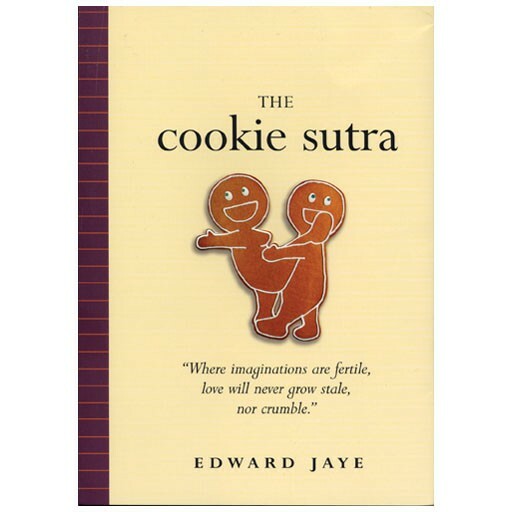 The Cookie Sutra: An Ancient Treatise: that Love Shall Never Grow Stale. Nor Crumble. by Edward Jaye adorably illustrates with full color photographs the love of a gingerbread couple as they explore various positions such as Autumn Dog, Tripod, and The Wheelbarrow. Sugar and spice make The Cookie Sutra a sweet recipe for fun.